Budweiser has earned itself a reputation that will take many years to fade away in regards to its Super Bowl commercials: the “golden age” of Budweiser Clydesdale mini-movies seemed to take place from 2005-2015ish, (one exception being the incredibly moving 9/11 tribute). When they started pre-releasing these things on social media a few weeks early, I for one was grateful, because then I would know in advance to excuse myself from the room at whatever Super Bowl viewing party I was attending so I didn’t ugly-cry in front of friends and family. And then in 2016, Budweiser’s marketing strategy shifted — perhaps actual beer sales to weeping horsewomen weren’t the target demographic after all — and the Clydesdales took a bit of a backseat, at least as far as emotionally-gripping storylines and heart-wrenching music was concerned. 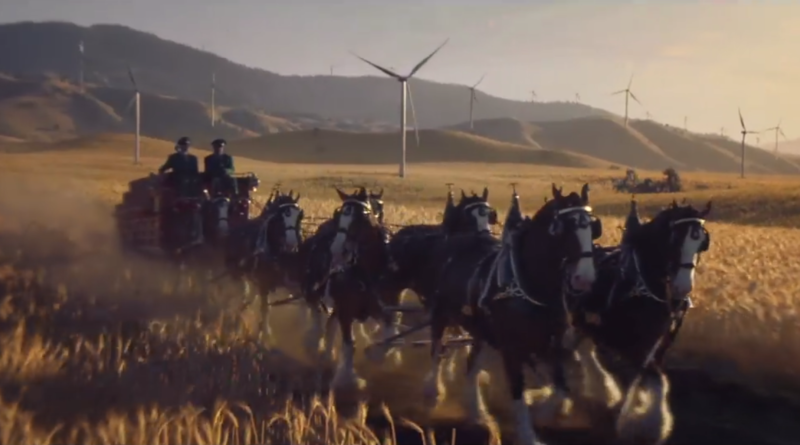 The 2019 ad, just released as of this morning, appears to be following in that vein: no anthropomorphism, no riveting storyline… just those big, beautiful horses, doing what they do best. We’ll see you on game day, Clydesdales! Keep doing your thing.